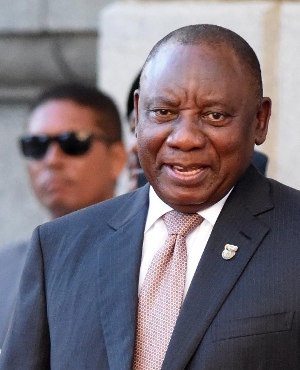 Eight new board members at the South African Broadcasting Corporation have received President Cyril Ramaphosa’s signature of approval, the Presidency announced on Friday. This comes after Parliament approved the appointment of the candidates in March following interviews by the oversight committee on communications. All the vacancies at the struggling public broadcaster have now been filled. The eight members joining the board are members are Mary Papayya, Jasmina Patel, Advocate Motshedi Benjamin Lekalakala, Professor Saths Cooper, Dr Marcia Socikwa, Mamoduphi Mohlala-Mulaudzi, Bernedette Muthien and David Maimela. Four of the public broadcaster's board members resigned in late 2018, creating vacancies that needed to be filled. Ramaphosa has appointed Mohlala-Mulaudzi as deputy chairperson. Mohlala-Mulaudzi is a former director-general in the department of communications. She was in 2010 axed amid a controversial dispute with former minister Siphiwe Nyanda. She took on the minister and former president Jacob Zuma in a widely reported legal battle, before being appointed to head up the national consumer commission.